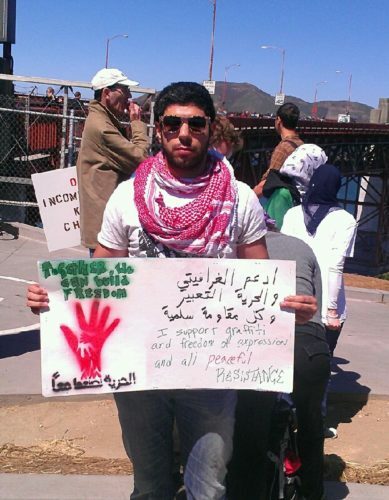 Tareq is Syrian born and raised and moved to the Bay area in late 2009. He has worked as a graphic designer and archival researcher. He is currently working on a book to tell the story of the Syrian revolution through the lens of graphic designers. He has organized with activists and groups at Stanford University. He likes biking, cooking, playing football (soccer) and the casual dismantling of systems of oppression. And he is currently the community defense coordinator at AROC.